Seeing is believing and on Saturday, after months of delay, London riders were at long last able to see the Hog Hill cycle circuit taking shape. They had the pleasure of walking the carved out route of the new Indy circuit, which is the first part of a much larger circuit being built by the London Development Agency to relocate Eastway Cycle Circuit, demolished to make way for the Olympic Park. And their verdict? ?They gave the thumbs up,? says Michael Humphrey, chair of Eastway Users Group. 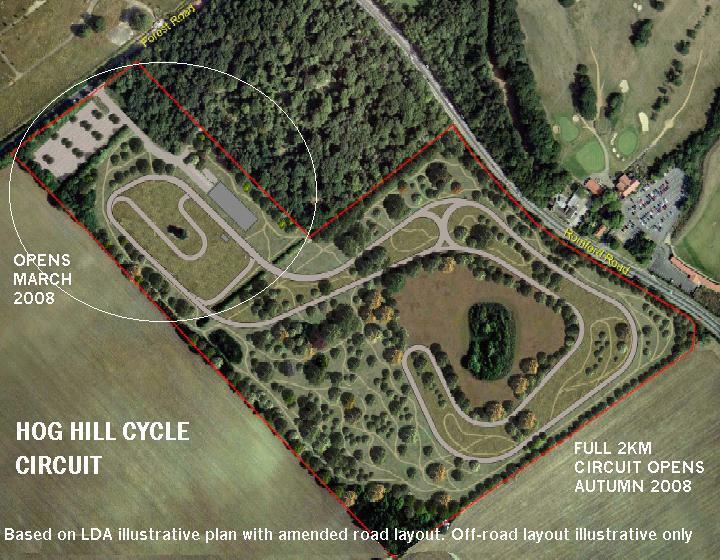 The Indy circuit of just under one-kilometre is on the upper fields of Hog Hill, and it includes several bends and sharp, short climbs, with a finishing straight in front of clubhouse. This faces southwest, offering fine views of the City of London over 10 miles away. The rest of the two-kilometre road circuit around the 17-hectare site may also include a 250-metre loop including three additional ?Alpine-style? turns, to tempt stronger riders into breaking from the bunch. But linked to this there will also be the option of shorter, less demanding lower circuit for novices. Work will commence as soon as the protected species of Great Crested Newt are relocated. The full circuit is expected to be open in the autumn. 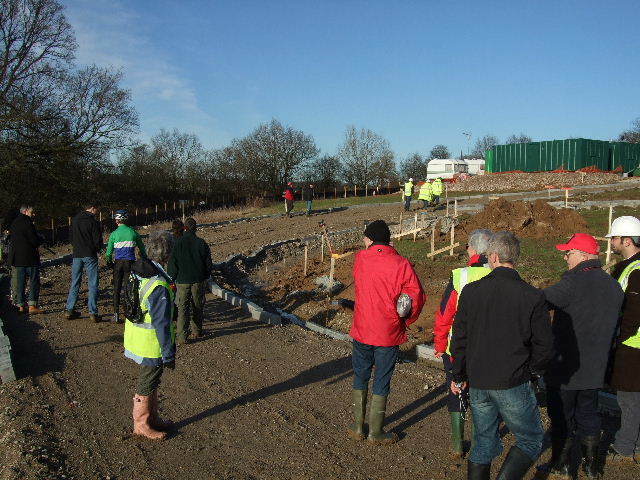 Plans of the off-road circuits, devised by the CTC?s off-road expert Ian Warby, were also shown Saturday?s visitors. The Lee Valley Youth CC, which recently had three of its members recruited into the National Olympic Talent Team, is looking forward to having a base where these riders can further develop. And attract more like them in to the sport. ?For anyone who visits the site, they will be welcomed to a facility which looks set to be one of the country?s finest,? says Humphrey. ?The pleasant environment and proper circuits for road and off-road riding should bring many more people into cycling and cycle sport. The site has the most spectacular West-facing position looking over open fields eight miles towards where Eastway was and where the Olympic Park is now rising. ?